The launch of a Bolivian satellite is the just the latest example of China’s space diplomacy. In the early hours of Saturday morning (Beijing time), a Bolivian telecommunications satellite launched from the Xichang Satellite Launch Center in China’s Sichuan province, Xinhua reports. The launch, observed by Bolivian President Juan Evo Morales Ayma, was one more example of China’s growing space diplomacy. The $300 million satellite, dubbed TKSat-1 or Tupac Katari, was built by China Aerospace Science and Technology Corporation (CASTC). According to CCTV, Tupac Katari was Bolivia’s first-ever communications satellite. The project was co-financed by the China Development Bank and Bolivia’s government. 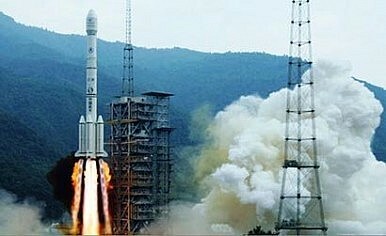 The Bolivian satellite is the fifth communications satellite China has built and launched on behalf of another country. China has previously produced and successfully placed in orbit communications satellites for Nigeria, Pakistan, and Venezuela as well as earth observation satellites for Turkey. There are additional satellites in the works for Sri Lanka, Turkmenistan, and Belarus according to the China Great Wall Industry Corp. website. In addition to constructing and launching the satellite, China also provided the training for Bolivia’s first satellite operators, who graduated from Shenzhou Institute in late October of this year. The training for the class of 78 Bolivians was provided by CASTC’s subsidiary China Great Wall Industry Corporation (CGWIC) as part of the satellite package. CGWIC also trained satellite operators from Nigeria, Pakistan, and Venezuela prior to their countries’ satellite launches. As the aerospace news site NASASpaceFlight.com noted, “With the development of China’s space industry, space training is gaining increasing popularity among a vast number of international customers, and has become an important part of the whole satellite export projects of China Space.” Yet this aspect, and the broader outlines of China’s space diplomacy, are often lost in Western media reports about China’s space programs. Satellite training, construction, and launch programs are an extension of China’s other cooperative projects in the developing world — the construction of infrastructure, mining projects, and energy development. Such projects are the embodiment of China’s philosophy of “win-win” diplomacy. They provide income and/or resources for China while also increasing the capabilities of the developing countries in crucial areas such as logistics, communications, or resource development. Many of China’s projects in the developing world face accusations of being “neo-colonial” (see, for example, this March editorial from the Financial Times). Yet space cooperation, where the end product winds up in orbit rather than on foreign soil, is different. The projects provide much needed improvement in communications and observations for the purchasing country, plus the training to being creating their own, home-grown space programs. When we talk about China’s role in outer space, we shouldn’t overlook the fact that China is opening access to this important frontier through its space diplomacy. According to Xinhua’s report on the launch, Bolivia is already considering partnering with China again — “We wish to launch a remote sensing satellite in 2017 and China is one of our best alternatives,” Ivan Zambrana, head of Bolivia’s space agency, told Xinhua. China Great Wall Industry Corp.